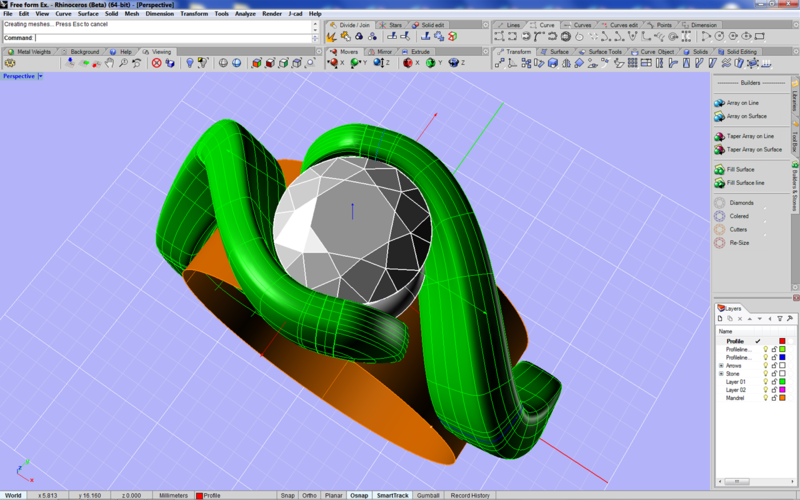 Jewelerscad for Rhino 5 gives you the ability to move objects, groups of objects, grip points, points, or cage edit points in the perspective view. You can use the mouse to move objects on any of six axes, while simultaneously being able to right-mouse click and drag the viewing angle. Enter a numerical value or simply click the mouse to set new position. Your speed will dramatically increase and you will be able to produce difficult jewelry designs with ease.